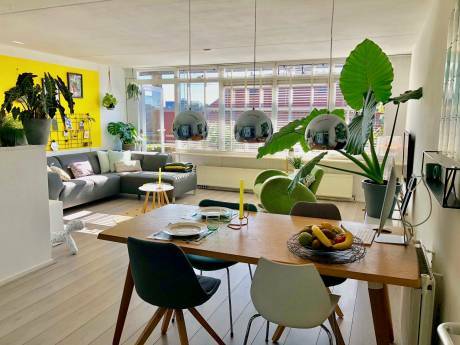 Lovely modern and light apartment on the second floor of a new building (10 years old, with elevator, 14 apartments in total) in the middle of Amsterdam's historical centre (Unesco World Heritage Site). 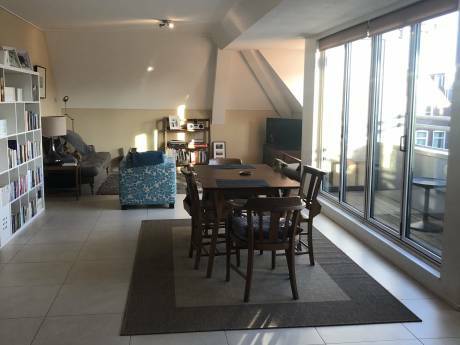 The building is on Prinsengracht canal, but our apartment faces onto a quiet side street. About 90 sq metres. One bedroom but a mattress could be put in the study if there are more than two of you. Spacious living room; dining table in the kitchen. Balcony at the back, ideal for morning coffee in the sun. Wooden floor throughout. High speed internet connection. Best location possible - this is what you'll love the most! 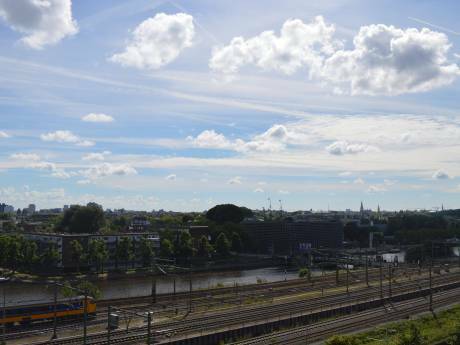 Walking distance to famous museums (Van Gogh museum, Rijksmuseum, Anne Frank House and others), bars, restaurants and shops, and about two minutes from Leidse Square with its theatres, music venues, cinema's etc. And yes, even the Red Light District is only about 10 minutes away on foot. The bohemien "9-streets" area is a few minutes away and offers atmospheric shopping, dining and drinking. The Prinsengracht canal is on the doorstep, and one of the most beautiful terraces of the city is right across the street along the water - the view goes all the way down the canal to the Westerkerk church, next to Anne Frank House. We are a couple, a doctor (GP) and a civil servant (at the ministry of Foreign Affairs) in our early forties. We travel frequently and have been all over, from Australia to Uzbekistan, Togo to Zimbabwe. We're into culture (art, music) and cultures (foreign countries and peoples.